Open concept design that’s perfect for entertaining. Gorgeous Kitchen with huge curved island, tons of cabinets and counter space. Big walk-in pantry with tons of storage room. 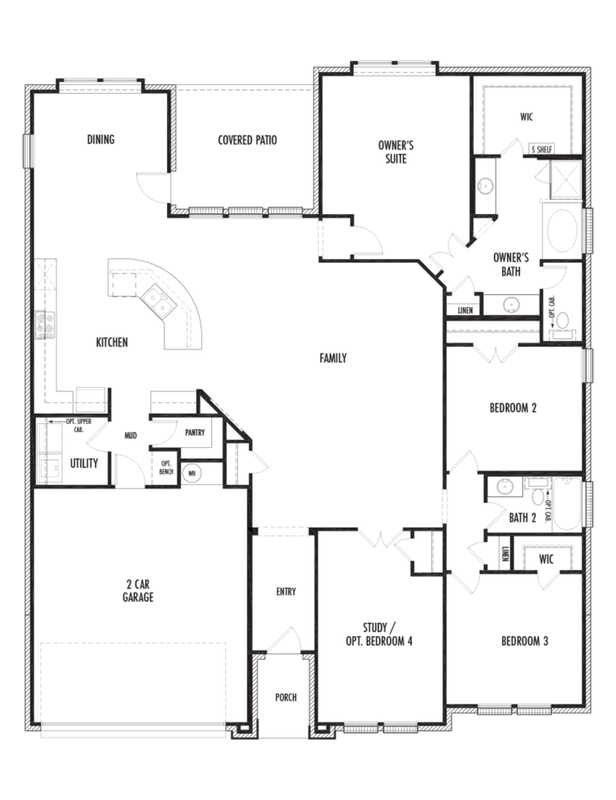 This plan offers a second floor option for additional bedroom and living spaces, great for the bigger family.